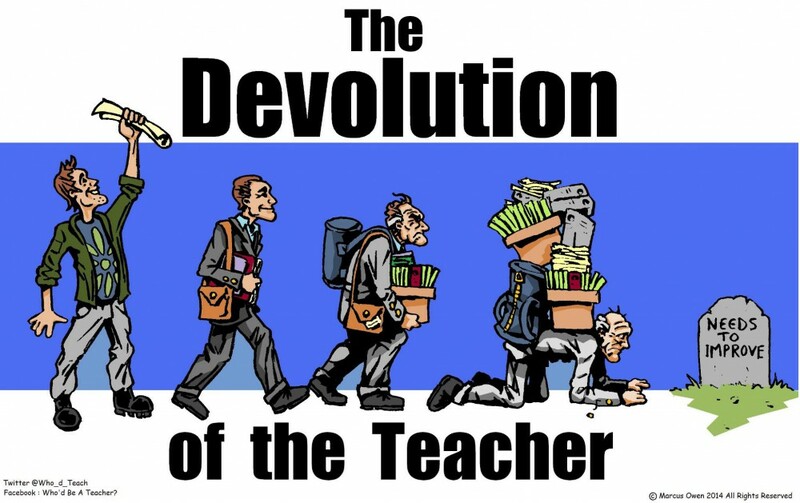 My 52 year old son just retired early because of the ongoing loss of benefits, his overcrowded physics classrooms (five of them with 32 students each), the move to charter schools and online education and the constant negative press that teachers endure. They used him as a consultant for his replacement, however. I am a public school teacher in the Philippines and everyday I have 7 classes with 45-50 students per class. Indeed, the educational system has devolved in many parts of the world.